Professor Ray Markey joined Macquarie University at the end of 2011 as Professor of Employment Relations in the Department of Marketing and Management and Director of the new Centre for Workforce Futures. He retired at the end of 2016 and became an Emeritus Professor. He had previously spent almost seven years as Professor of Employment Relations at the Auckland University of Technology Business School (2005-11), and was Foundation Director of the New Zealand Work and Labour Market Institute (2006-11) as well as Associate Dean Research (2006-9). 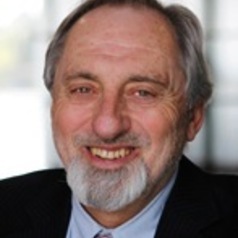 Prior to that he was Convenor of the Industrial Relations Programme at the University of Wollongong from 1979 to 2005, where he also established and led the Centre for Work and Labour Market Studies. Professor Markey has written extensively on labour parties, trade unions and other forms of employee voice, peak union bodies, workplace industrial relations, and racism and the labour market. He has published over 100 peer-reviewed journal articles or book chapters, as well as 14 books authored or edited by himself or with colleagues. Half of Professor Markey’s journal articles are published in prestigious A* or A ranked journals. Professor Markey’s research endeavours have made him the recipient of numerous research awards in the past 10 years. He has also been the recipient of a number of grants from the International Labour Organisation, the Australian Research Council, the (then) Australian Department of Industrial Relations, the New Zealand Department of Labour, Unions NSW, the Royal Society of New Zealand, the Australia Council, the Reserve Bank of Australia, and New South Wales state government agencies.